The Light Between Oceans is A rare beasts: an expensive adult drama produced by a major studio that won’t light the box office on fire. Then again, thanks to highly profitable divisions like Marvel and LucasFilm, Disney can damn well afford to take a risk with a film not engineered for 12-year-olds high on sugar. Based on a book by first-time novelist M.L. 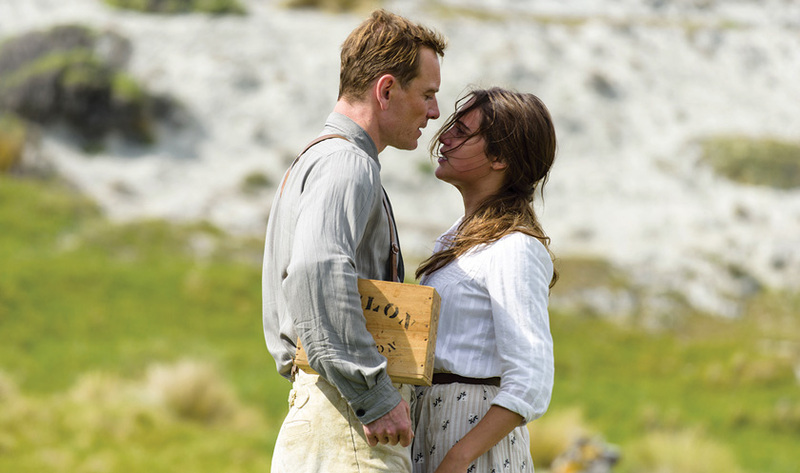 Stedman, The Light Between Oceans benefits from a spectacular location and two great actors: Michael Fassbender and Alicia Vikander. Set in the wake of World War I, the film follows a shell-shocked soldier, Tom (Fassbender), who takes a job as lighthouse keeper in Janus Rock, a remote island half-a-day away from the Australian coast. It worked for Jack Torrance, right? Tom’s hopes for peace and quiet are summarily and pleasantly dashed by Isabel (Vikander), a fetching younger woman with a modern attitude towards happiness: she sees it, she takes it. Soon they get married and enjoy a lengthy honeymoon at the lighthouse. Two miscarriages later, the contentment has all but vanished. Isabel is profoundly depressed and Tom is beginning to show signs of desperation. As fate would have it, a boat washes ashore. Inside: a dead man and a crying baby. Tom and Isabel are torn over what to do with the child: report the finding or Clark Kent it: hide the evidence and keep the newborn. A filmmaker with a knack for depicting the corrosive nature of love (Blue Valentine) and the healing power of forgiveness (The Place Beyond the Pines), writer/director Derek Cianfrance incorporates both elements here, very organically. The top half — anchored by the leading couple falling in love — is a delight, fettered by the nagging (and correct) feeling tragedy lurks around the corner. Cianfrance, who cut his teeth in the indie world, uses the additional budget to make the movie look elegiac. The cinematography challenges you not to be swept up in Isabel and Tom’s love story. It even manages to make letter reading visually enticing, like in a classic Hollywood movie. Fassbender’s role as the taciturn lighthouse operator is not flashy, but he sets up Vikander to shine. An actress of stunning beauty and extraordinary talent, the Oscar winner for The Danish Girl is incandescent in The Light Between Oceans, arguably at the expense of the other female lead, Rachel Weisz, who is basically set up for a fall. For a character on whom the denouement of the film hinges on, Weisz’ role is underdeveloped — a typical problem with big screen adaptations of lengthy novels. Much like in his previous efforts, Cianfrance limps towards the finish line. The second half feels rushed, and because of all the plot-cramming, the characters behave unconvincingly here and there. That said, the goodwill generated towards Tom and Isabel pays off, even when their actions are either unethical or self-sabotaging. In the book, the morality of keeping the baby is supposed to be up for debate (is it immoral to be happy at someone else’s expense?) but The Light Between Oceans heavily favours one side, making any discussion a moot point. As fresh as the movie feels, it is, after all, a studio movie. And studio movies don’t want to rock the boat.